This contest is for a Anthony Banda 2018 Topps Gypsy Queen RC Auto. Good luck!!! This contest will end Friday, April 20, 2018 @ 8:00 p.m. EST. 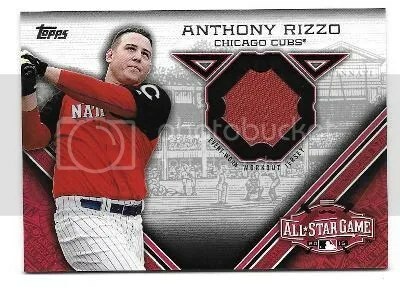 This contest is for a Anthony Rizzo 2015 Topps Update Series All-Star Game Event-Worn Workout Jersey. Good luck!!! This contest will end Friday, November 20, 2015 @ 8:00 p.m. EST. 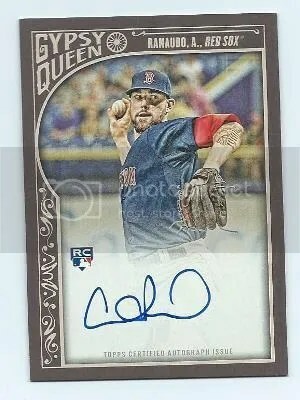 This week’s contest is for a Anthony Ranaudo 2015 Topps Gypsy Queen RC Auto. Good luck!!! This contest will end Friday, May 29, 2015 @ 8:00 p.m. EST.